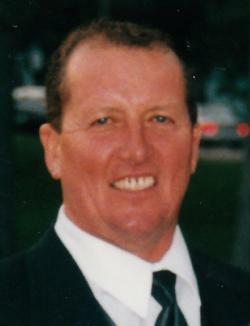 It is with heavy hearts we announce the passing of Kevin Earl Patterson, age 64, of Point De Bute, NB. Kevin passed away after a long journey with cancer on Thursday, January 31, 2019 at his home, surrounded by his loving family. Born in Sackville, he was a son of the late Kay (Briggs) Patterson, and Bill Patterson of Point de Bute, NB. Kevin never complained and always championed forward to try to beat the disease with strength and courage, supported by his family and many faithful friends. He loved the outdoors; spending time at the camp at Miner's Point, hunting and fishing. He enjoyed listening to country music and playing his guitar. He always loved a good card game. Family was very important to Kevin, and he especially loved time with his grandchildren. In addition to his father, he will be sadly missed by his wife, Marjorie (Allen), Point De Bute, NB; their children Angela (Jeff) Tower, Sackville, NB, Billy (Natasha) Patterson, Point De Bute, NB, Luke (Jess Paget) Patterson, Sackville, NB; 5 grandchildren, Olivia and Sam Tower, Emily, William and Jacob Patterson; sister Linda (Gary) Dunham, Cumberland Bay, NB, Rhonda (Anthony) Hicks, Point De Bute, NB; brother Perry (Olive Lewis) Patterson, Point De Bute, NB; foster brother Lewis (Terri) Smith, Sackville, NB; sister-in-law Donna Patterson, Baie Verte, NB; as well as many nieces and nephews. He was predeceased by his brother Larry Patterson. Arrangements are under the care and guidance of Jones Funeral Home, 70 Bridge Street, Sackville, NB (506-364-1300), where visiting hours will take place on Tuesday, February 5, 2019 from 1 pm until 2 pm, followed immediately by the funeral service at 2 pm, William Drysdale, DLM, officiating. Burial will take place in the Point De Bute Cemetery in the spring. Donations in memory of Kevin's memory may be made to the Tantramar Extra Mural or the Canadian Cancer Society. Sharing of memories and condolences may be sent to the family by visiting Kevin's online memorial at www.jonesfuneralhome.ca or through the Jones Funeral Home Facebook Page.